Epoch Times is taking a look at each of the major options for green driving. Hydrogen cars are not currently sold commercially, but some will be released in the next couple of years. Here’s a look at the pros and cons of hydrogen cars. See Epoch Times articles on the electric car, hybrid car, and coffee car. Still to come: A look at cars that run on natural gas and biogas. Compressed hydrogen gas, stored in tanks in the truck or under the floor, mixes with oxygen to generate an electric current, powering electric motors. 1. The only emission is steam. 2. It’s comparable to regular cars with 300–400 miles between refueling, and the refueling time is real quick, at approximately four minutes. 3. The engines often have great acceleration. 4. The engine is quiet. 1. The manufacturing costs are high. 2. The technology is expensive and needs further development. Platinum is used as a catalyst in the fuel cells, and this material is expensive and limited in supply. 3. Another disadvantage is storage issues. Since hydrogen is extremely flammable, it needs to be stored properly. A rough collision in a hydrogen car could cause an explosion. 5. The car doesn’t do all that well in cold environments, due to the water in the fuel cells that might freeze. 6. There aren’t all that many refuelling stations today, making it hard to own a hydrogen car. 7. The National Academy of Sciences estimated in a 2008 study that it would cost the government $55 billion to get two million hydrogen cars out to the public in the United States by 2023. This really is a car of the future, in that no vehicles are currently on the market that run on 100 percent hydrogen power. Existing hydrogen cars are prototypes. The cost for maintaining and purchasing a hydrogen car will be more expensive than a conventional car and the fuel cost will be a bit more than regular gasoline if and when the vehicles begin commercial production. Honda leases a combination hydrogen-electric car, the FCX Clarity, for about $600/month. The car has been available since 2008, with limits. Honda will lease about 200 of these vehicles, primarily in Southern California. Honda hand picks its customers, making sure they live in areas where they can access a hydrogen refueling station. Toyota plans to release a hydrogen car in 2015 or 2016, and will charge about $100,000 for a standard model. Toyota, Hyundai, and Honda are some of the automakers who plan to release new hydrogen cars in 2015–2016. Daimler and Nissan plan to start production in 2017. 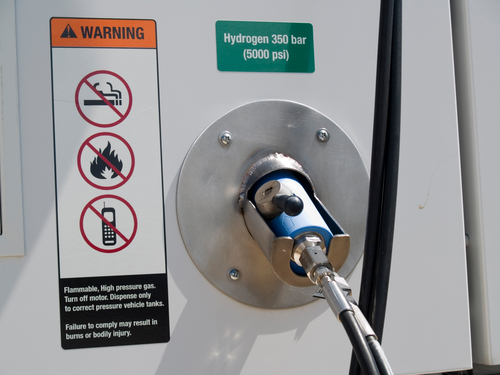 Find hydrogen refueling stations worldwide using the Net Inform finder. 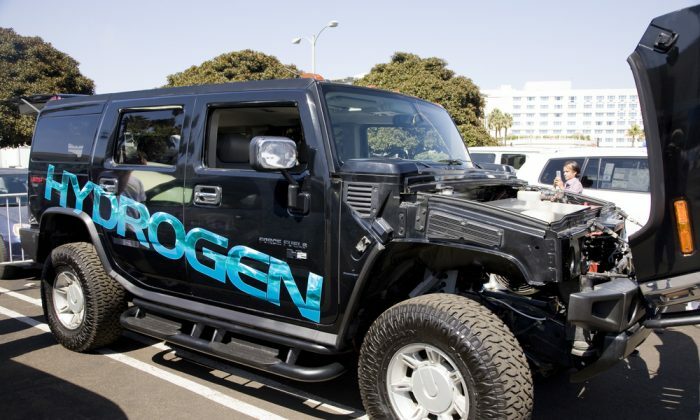 *Image of Hydrogen car via Jose Gil/Shutterstock.